This foundation claims to be a 2-in-1 foundation and can be used a concealer as well. 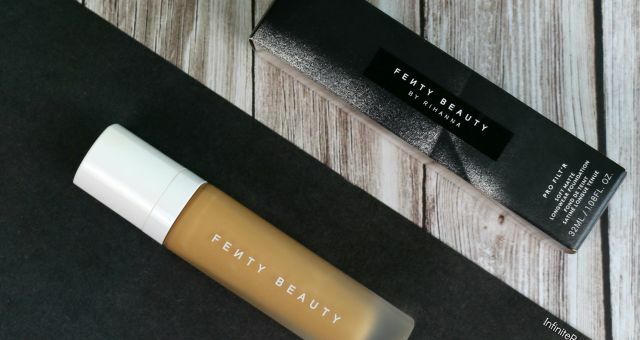 It is supposed to be a medium to full coverage, lightweight, oil-free formula, longwearing, water-resistant and sweat-proof foundation. That’s a lot of claims and thankfully most of the claims are true. I will explain in further sections. I am very impressed with the packaging of this foundation. The product comes in a glass bottle with a very good pump. The design of the pump is very thumb friendly as well with a curve on the top of the pump. I don’t know if anyone even cares about this but I really like it since I have kind of weak thumbs. The pump dispenses out good amount of product as well and for a natural coverage you do need just a little bit. Overall, big thumbs up to the packaging, always appreciate good packaging on a drugstore foundation. Although the cap of the foundation could be a little better and more secure. It doesn’t click shut or anything and it’s pretty easy to open so need to be careful while travelling. 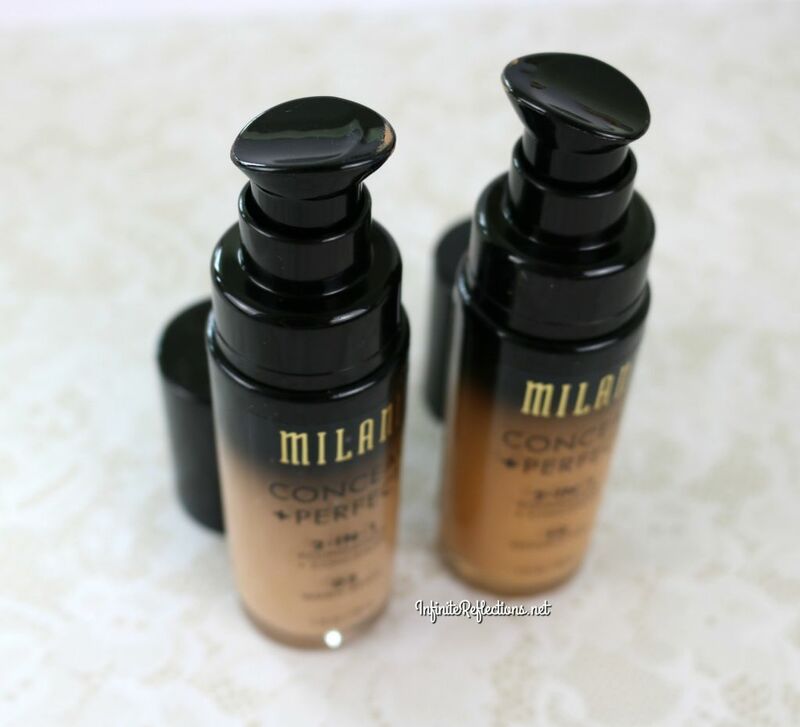 In Singapore, Milani is not an official drugstore brand but it can be purchased from various online resellers. Hence, the price is not really fixed and can range between SGD 23 -26, depending on where you are buying from. 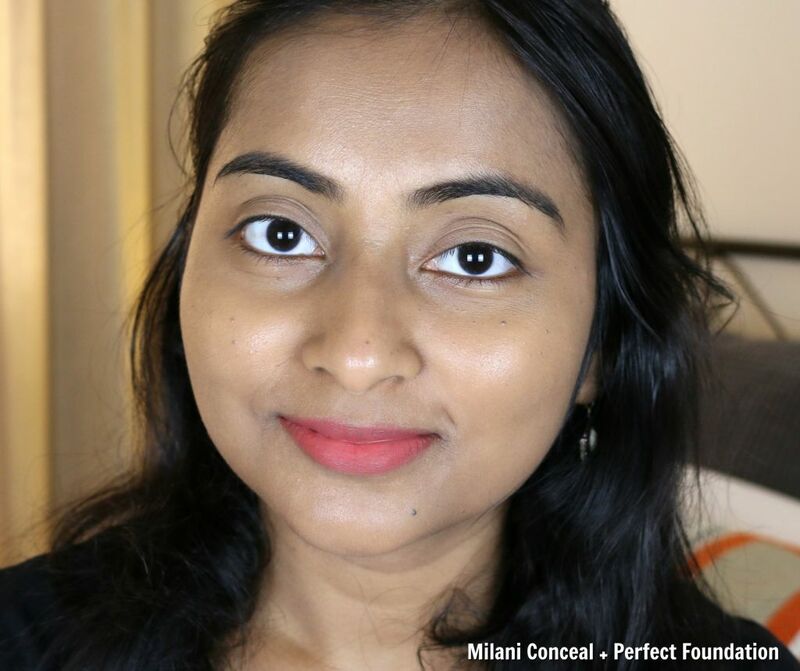 For my readers in India, its very exciting that Milani has launched on Nykaa and now you can get this foundation in India as well and it is priced at Rs. 1250. 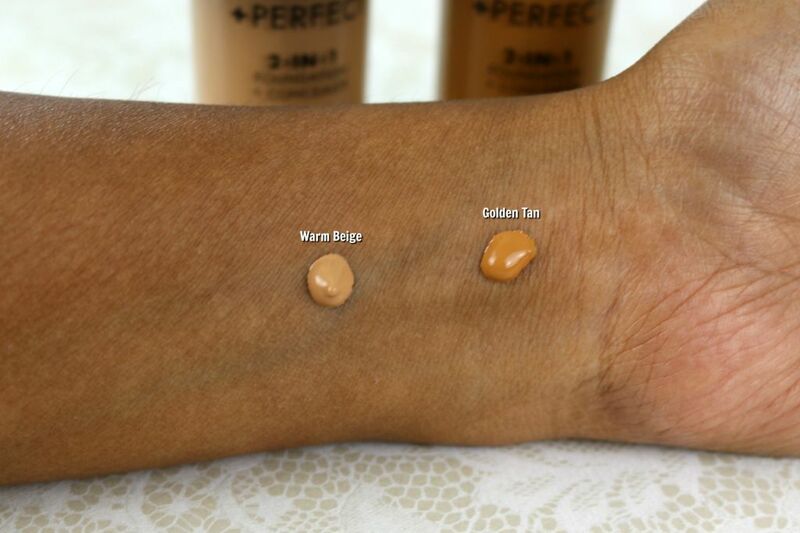 I love that this foundation has lots of shades for various skin tones and I am sure most of us will be able to find a matching shade. I have seen 14 shades available in Singapore, not sure if there are more. I have purchased two shades – Golden Tan & Warm Beige. This is an usual phenomenon whenever I buy foundations online. 🙂 Anyways, I bought “Golden Tan” first, but it was a little too orange and warm for me. I am around NC42. But, I loved the wear of the foundation so I decided to get a shade a little lighter than my skin tone, so I got “Warm Beige“. 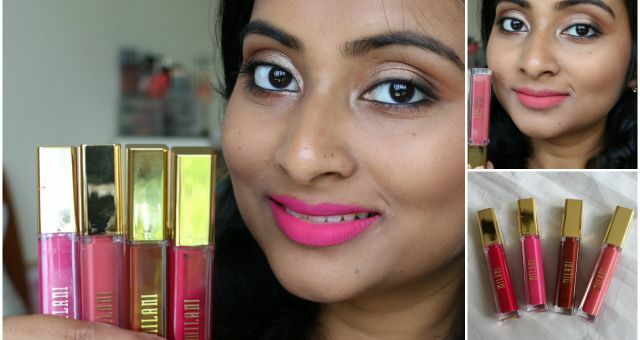 I mix these two shades and it is my perfect match. 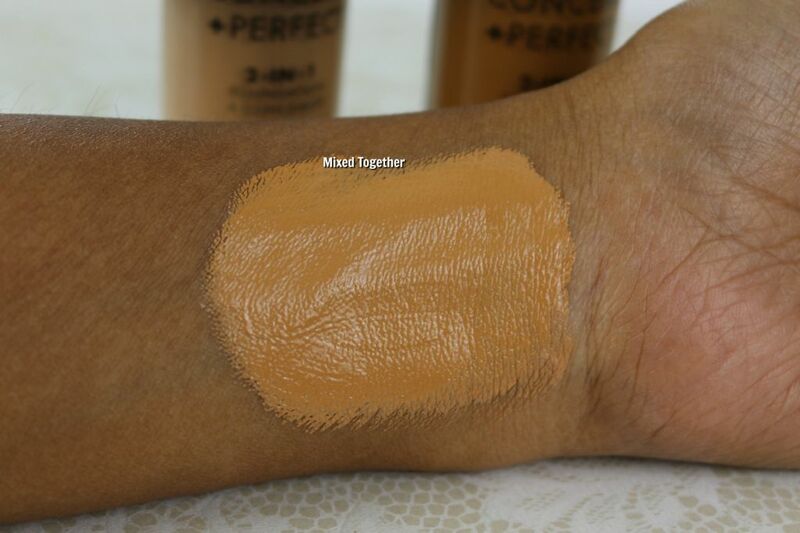 I think “Tan” would be a closer match for me but I am happy mixing these two and don’t want to get any more shades. 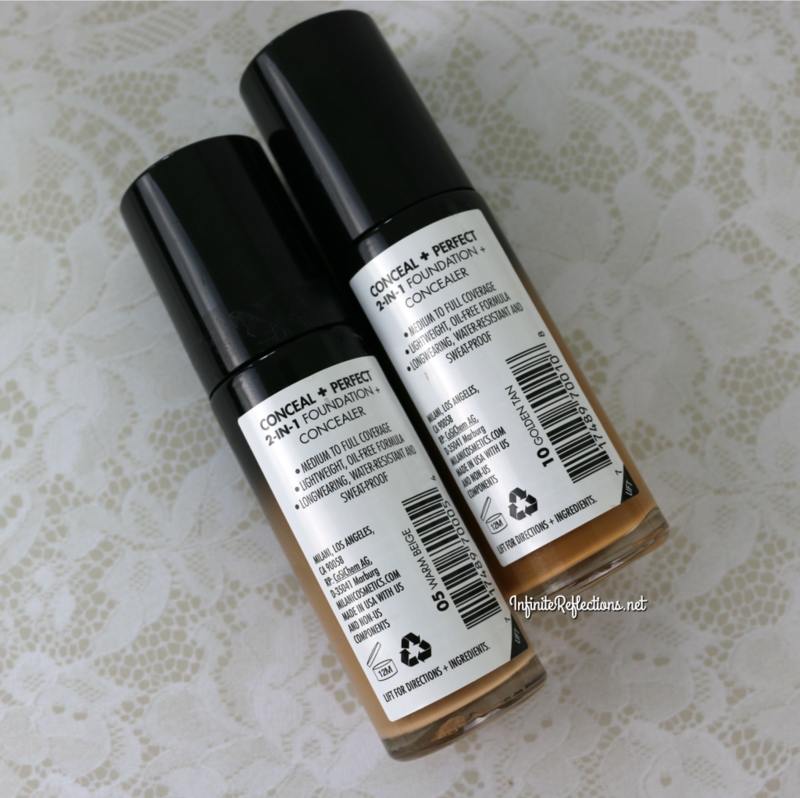 This foundation does oxidize a little bit on me so you have to keep that in mind. Now, for the final verdict. Let’s talk about texture first. 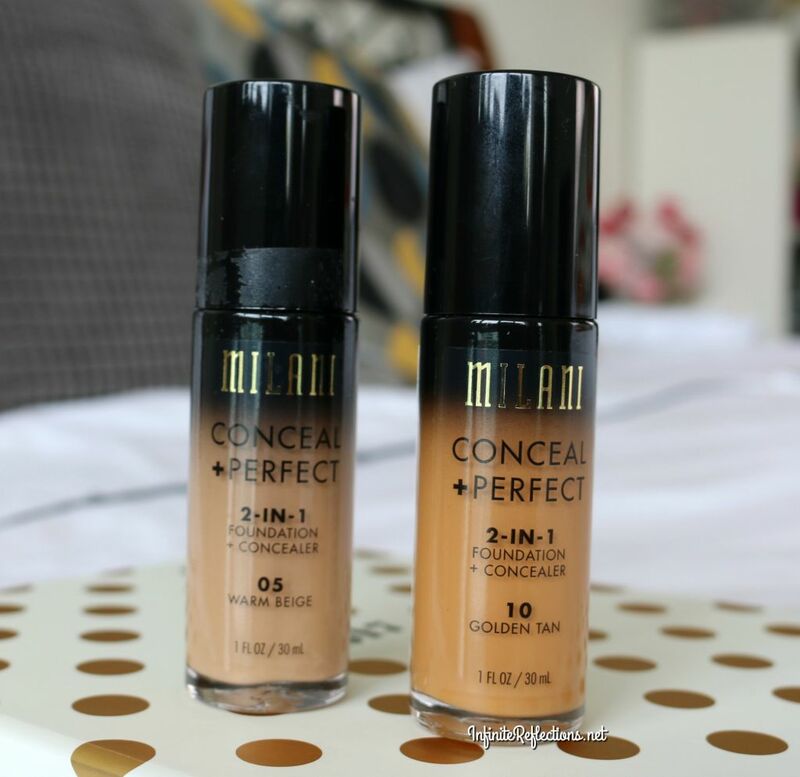 This foundation comes out very thick and it feels quite heavy on the skin if you go for full coverage. The heaviness does fade away after a while or probably we just get used to the heaviness. But, if you go for a more light layer and natural coverage this doesn’t feel heavy at all. 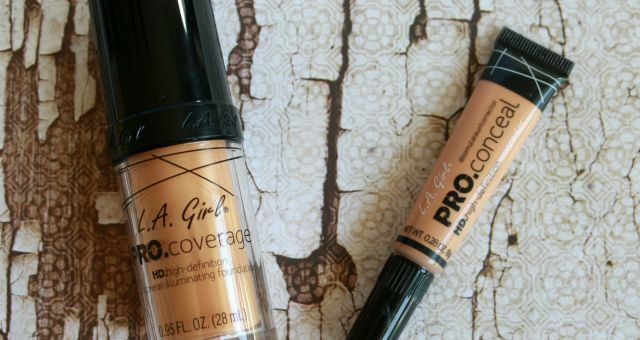 Both ways, I think the foundation gives excellent coverage and it looks almost flawless. 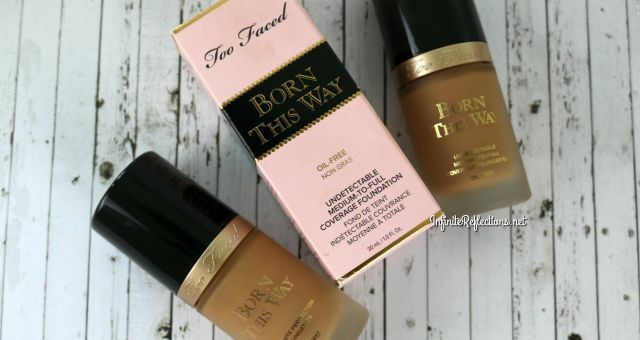 So, if you are looking for a very good medium to high coverage foundation, this is an excellent choice. 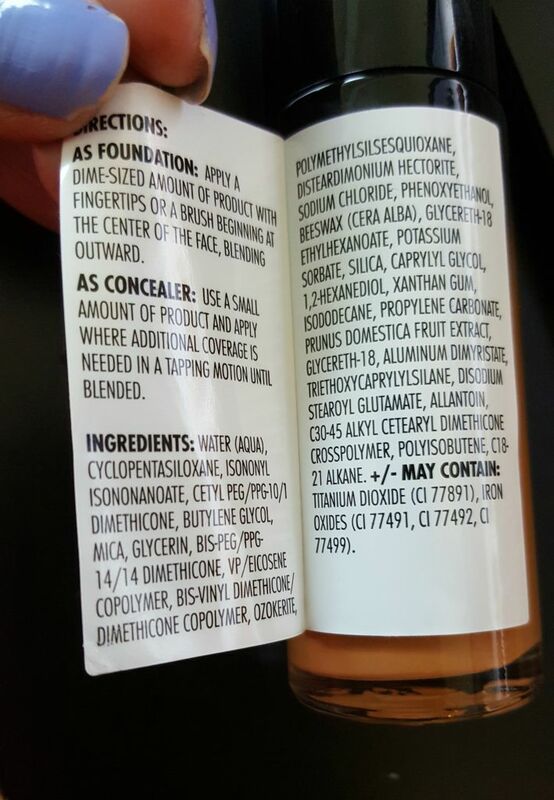 This foundation is neither a dewy foundation nor it is a complete matte foundation. It is somewhere in between so I think a lot of skin types would be able to wear this. I have dry skin and I really enjoy this foundation. But, I find that after you have applied the foundation it feels very tacky, so setting this foundation is a must. After you have set the foundation with some powder, it looks beautiful. 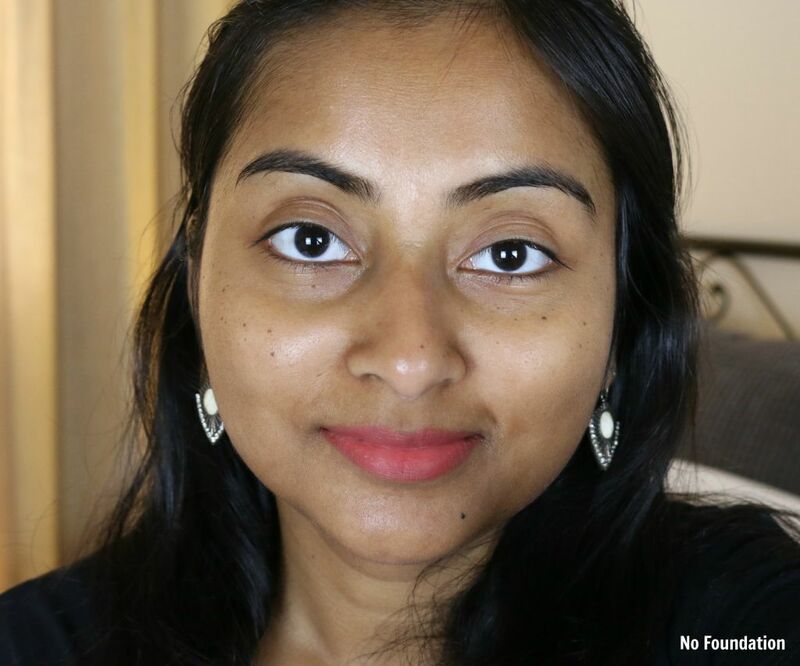 I think the ideal way to apply this foundation is with a damp beauty blender or sponge. This gives a more flawless finish. I would like to mention here that this foundation has quite a distinctive smell, its not bad but it’s not very good either. But, thankfully it doesn’t linger too much. This is a very long wearing foundation. Whenever, I have applied this on my face it has lasted me 8-9 hours without looking patchy or “cakey” or weird. It has worn beautifully throughout the wear and has always looked very natural and skin like. As claimed, it is completely water-proof and sweat proof on me, so that claim stands corrected. Maybe because of this the foundation does feel a little heavy sometimes but I can look past that. 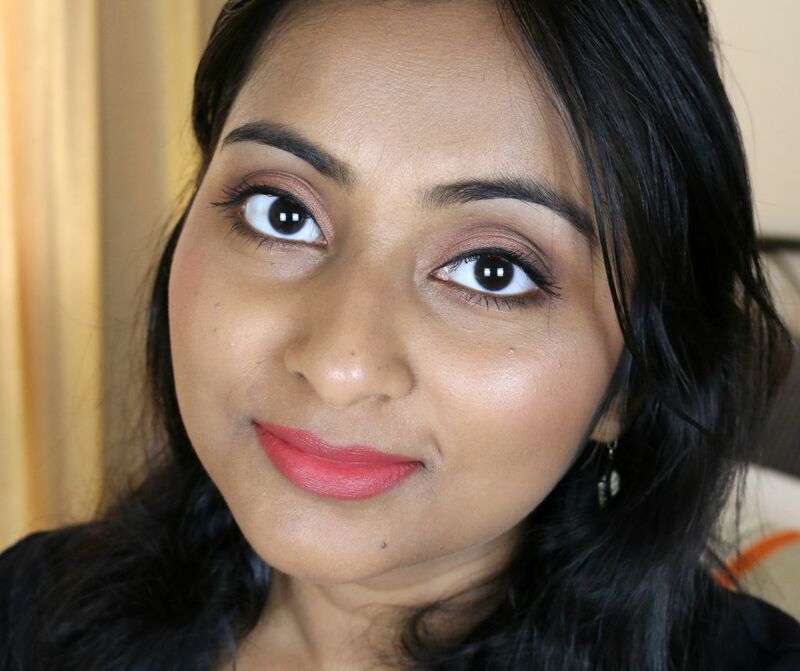 Overall, I love this foundation and is probably my favourite drugstore foundation nowadays. It has good coverage, yet looks skin like and is very long wearing and I will highly recommend this. I hope this review was helpful. Do comment down below if you have any thoughts or any questions. 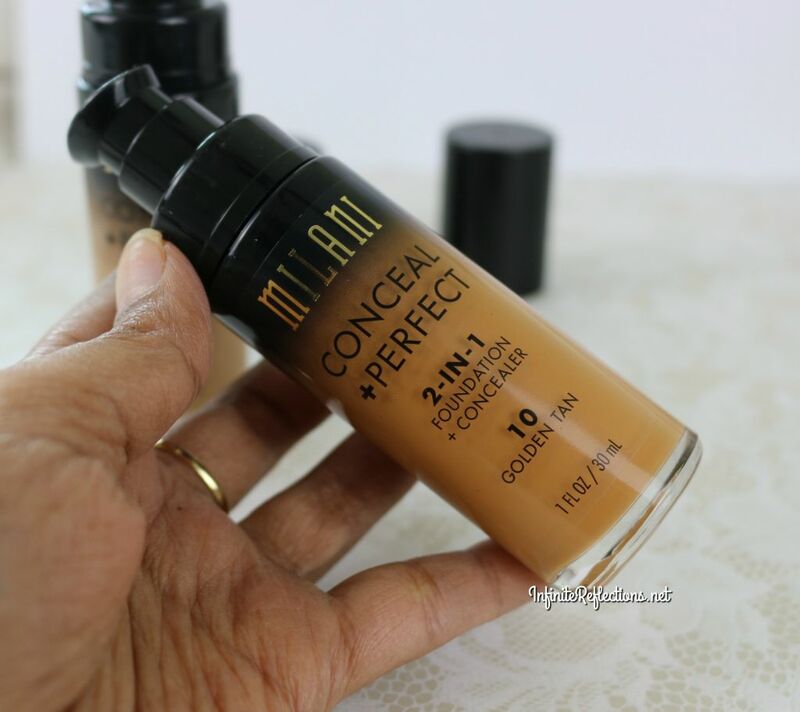 Is this concealer can help to reduce the the dark circles?